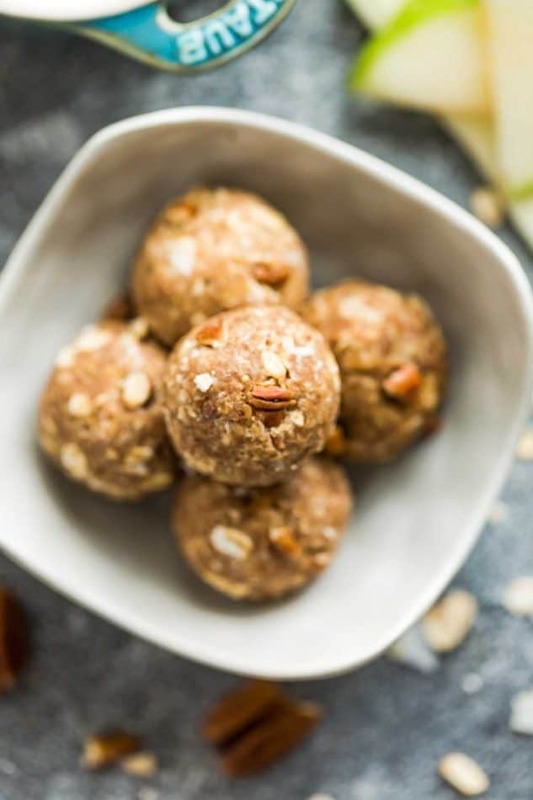 Apple Energy Bites with cinnamon and pecans – the perfect easy and healthy grab-and-go “apple pie” like snack! 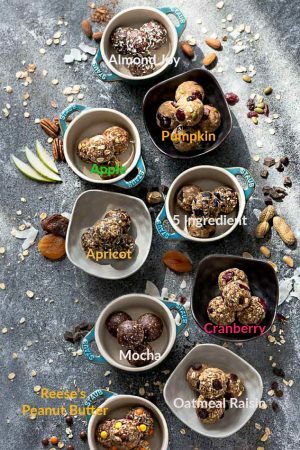 Best of all, full of cozy fall flavors – gluten free and refined sugar free and so easy to customize. 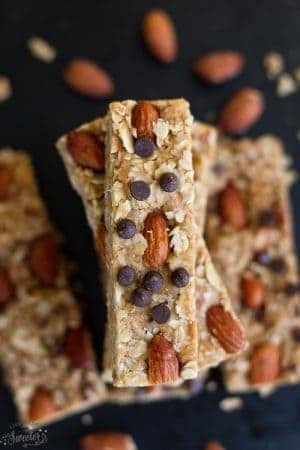 Energy bites and granola bars have been happening a lot around here with back to school season. They are a quick and easy snack to keep on hand or pack into school lunch boxes. 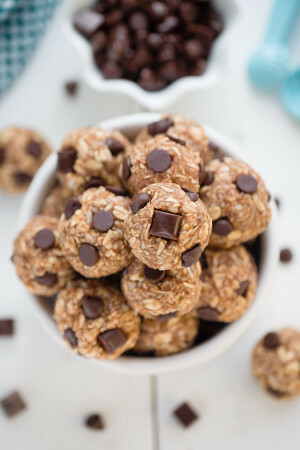 And I recently shared these 9 No Bake Energy Bites that have something for everyone. 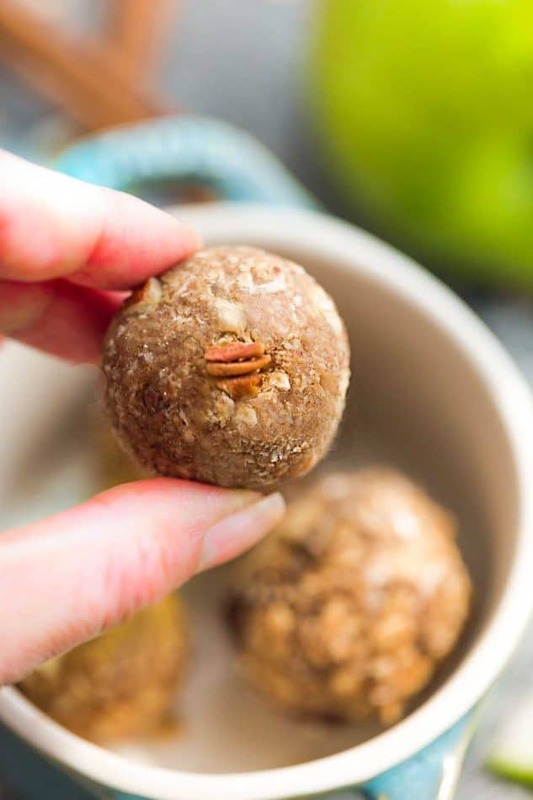 These gluten free Apple Energy Bites with cinnamon and pecans have all the cozy flavors of fall and are super easy to customize. They are like mini “apple pies” but contain no refined sugar and are great for on the go. 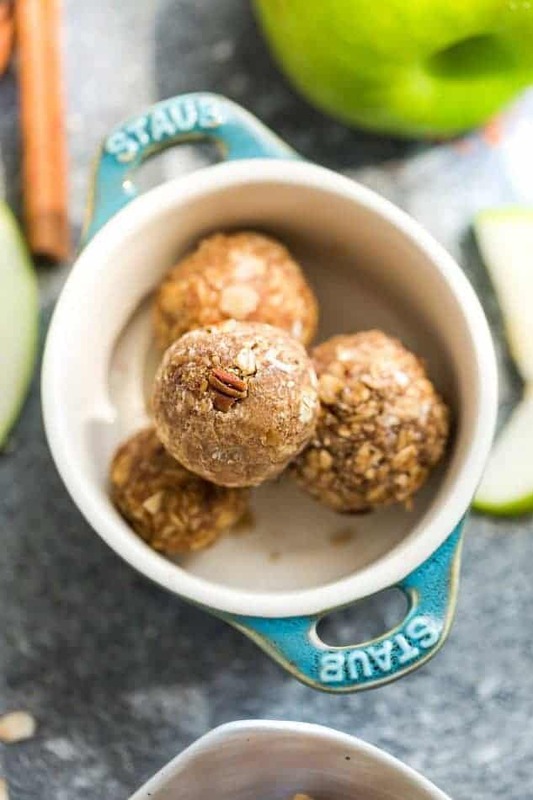 These Apple Energy Bites are also the perfect after workout snack or anytime you’re craving something sweet (like a cookie?). They’re also great for on-the-go like work or school lunchboxes ? You can add protein powder to make them more substantial or feel free to toss in any other add-ins you like. 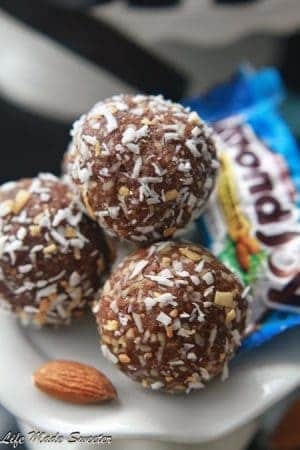 The great thing about energy bites that they are made with simple pantry ingredients that you can swap out according to what you have on hand. Roll them up into balls and you’ve got an easy snack for on-the-go. Be sure to check your labels if you have food allergies or sensitivities and use gluten free or nut free ingredients as needed. 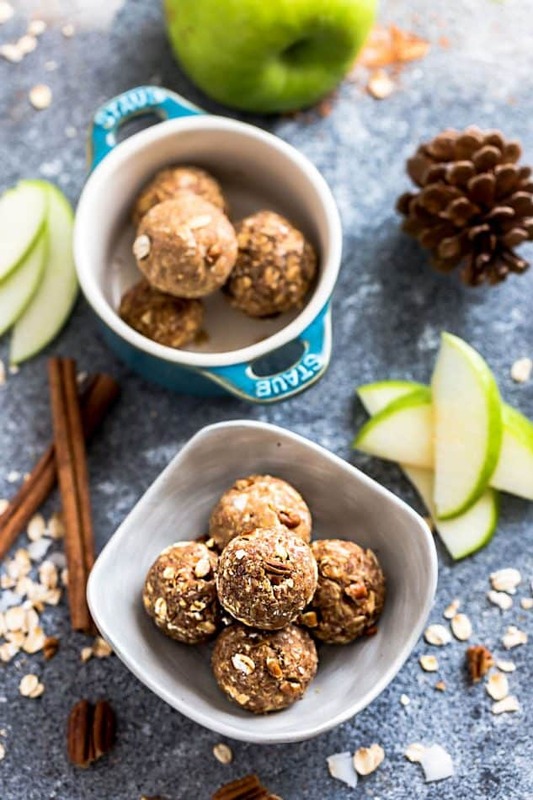 Apple Energy Bites with cinnamon and pecans – the perfect easy and healthy grab and go snacks! 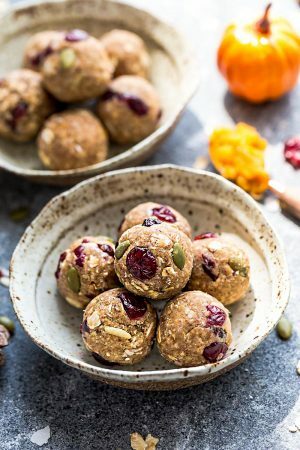 Best of all, full of cozy fall flavors – gluten free and refined sugar free and so easy to customize. Stir in the remaining ingredients until well combined. Add optional add-ins, if desired.